Sometimes we find wonderfully exceptional things in the most unlikely places. Take for example the passion of the wine lover who decides to grow grapes in his backyard in the city. Many winemakers start by growing grapes at home. Not everyone can do it successfully because the climate can be entirely different than in many wine-growing regions. The success occurs when not just friends appreciate the fruits of your work but when there is a demand for your wine. 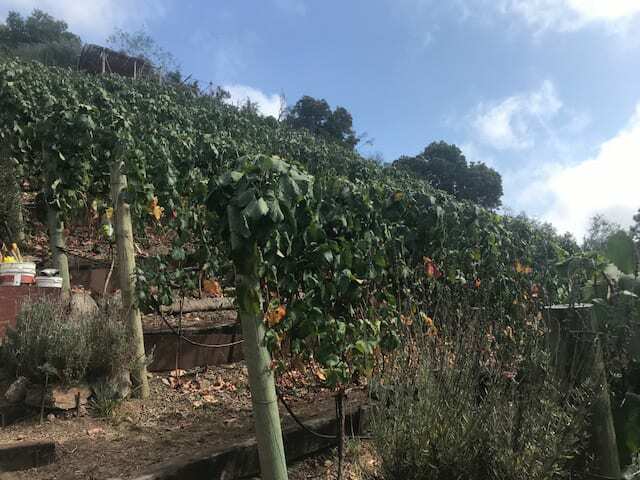 Larry Gilman and Donna Mills, who many know from their acting careers, created a vineyard of about 432 vines at their home on Mandeville Canyon in Los Angeles. The wine they produce under the Mandeville Vineyards label deserves merits because it rates in quality as any fine wine from Napa Valley. I was intrigued to discover Mandeville Vineyards because my family lived on Mandeville Canyon when I was born. We lived only a few blocks north of Mandeville Vineyards. My family and I only lived there until I was six years but its impact on the early years of my life holds a special place in my heart. Sitting with Larry, I found his enthusiasm for his wine abounded the table. You cannot miss that his vines are his babies. Larry originally planted his vineyard in 2013 with Malbec and Cabernet. Harvesting by hand, the first vintage occurred in 2016. Although Larry had no winemaking experience, he and Donna loved wine and spared nothing to develop their hillside vineyard. You will often hear music playing in the vineyard to give the grapes some inspiration. 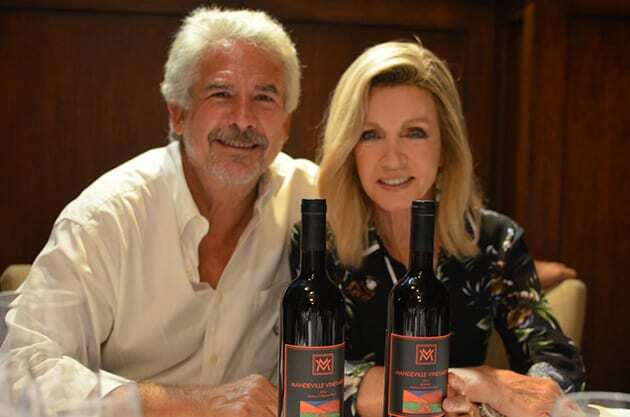 Larry and Donna originally wanted to call their winery, Ethereal Wines because one has to look up to see the vineyards but after receiving a cease and desist order from another company with that name, they chose Mandeville Vineyards, honoring the street where they live. The wines are produced at Village Winery in Westlake with consulting winemaker B Alan Geddes. 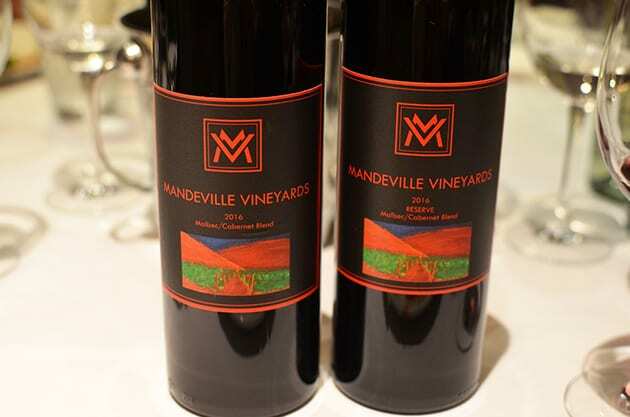 During a recent luncheon with LA Wine Writers at Napa Valley Grille, I sampled the wines of Mandeville Vineyards. Because Larry only produces red wine our luncheon included white wines from Napa Valley Grille’s Tavistock Reserve Wine Collection. 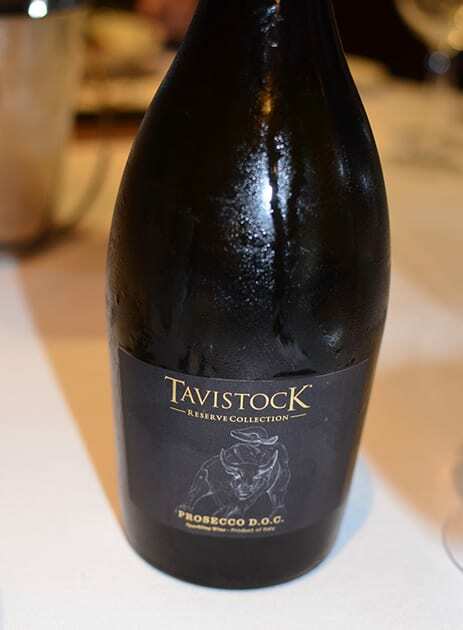 We began with Nonvintage Prosecco featuring a crisp demeanor of lovely florals. Our first course consisted of a Napa Valley Garden Salad of sugar snap peas, asparagus, white balsamic vinaigrette, feta, and fried Proscuitto. Tavistock 2016 Pinot Grigio accompanied. The wine was light but although unoaked exhibited a creamy quality that accented the stone fruit flavors. 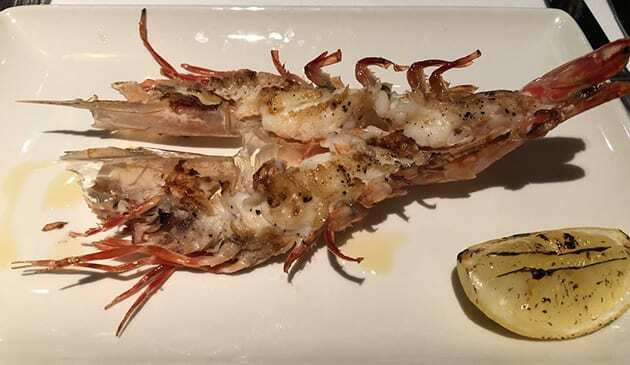 The second course included Skull Island Tiger Prawns with torched Caramelized lemon and herb oil. This course was paired with the 2016 Tavistock Sauvignon Blanc. Next course featured a Mushroom Broth Pappardelle Pasta with spinach, goat cheese, and walnuts. You could smell the mushrooms from a distance. 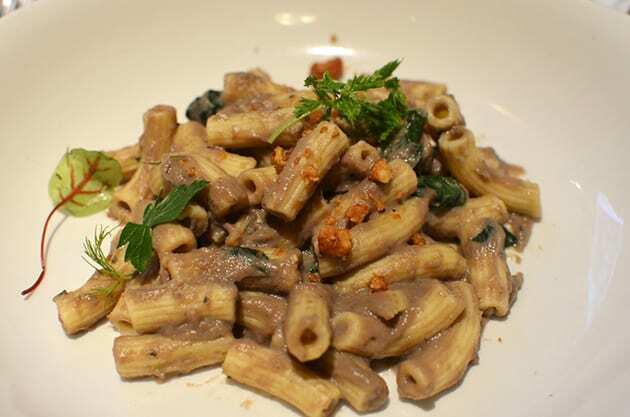 This pasta dish paired with Mandeville Vineyards 2016 Malbec/Cabernet Blend, which consists primarily of Malbec. With this wine, I could smell the Malbec. The wine aged in a breathable container for ten months with French oak sleeves followed by one year in bottle. The wine delivers a rich, full-bodied structure that is both silky and velvety in texture. I found dark fruits accented by some hints of mocha and tobacco. 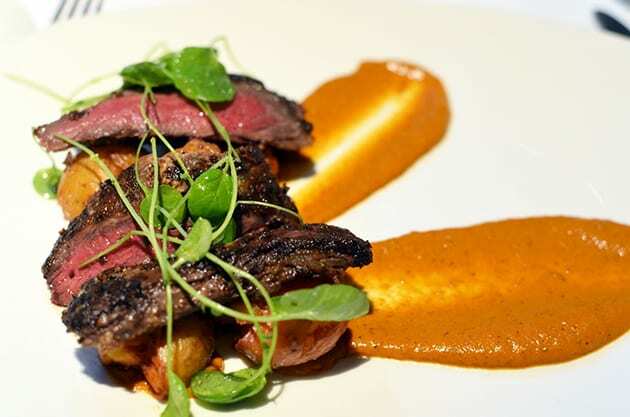 For our final course, we enjoyed a Marinated Wagyu Skirt Steak with red bell pepper tomato coulis, fried peewee potatoes, upland crest, and pesto vinaigrette. The 2016 Mandeville Vineyards Reserve Malbec and Cabernet Blend accompanied. Again the composition of the wine is primarily Malbec but this wine ages 20 months in new French Oak Barrels. Even better than the first wine I found similar qualities but a wine that will develop over time to become even more exquisite. 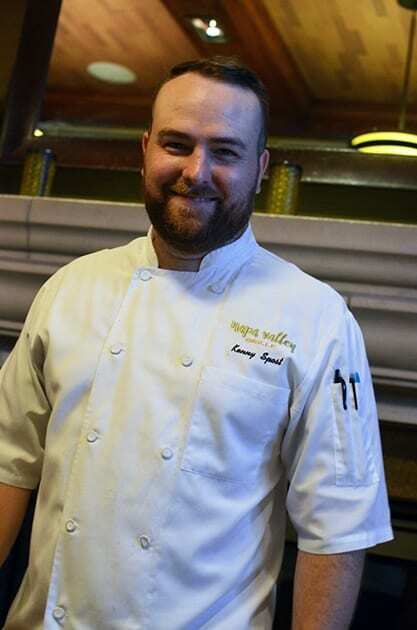 I left the luncheon knowing that Chef Kenny Spost had outdone himself with his creative prowess and at the same time well aware that the LA Wine Writers had discovered some extraordinary wine that deserves many accolades. From the scenic countryside atmosphere of Mandeville Canyon, Mandeville Vineyards brings a breath of fresh air to the world of excellent wine. Mandeville Vineyards reserve will be available in a month or so.